← At Long Last The August Issue of Providence Monthly Has Arrived! Four More Issues of Eldritch Leanings Have Been Found! While digging through many boxes of Lovecraft related publications, during a search for convention related materials for data to accompany some of the audio files I’ll soon be uploading here, I found a box containing the final sets of Esoteric Order of Dagon (E.O.D.) (Amateur Press Association) mailings that I had received as a member in the late 70’s and early 80’s. Within these mailings were the final four mimeographed issues I published before my membership lapsed due to inactivity on my part. 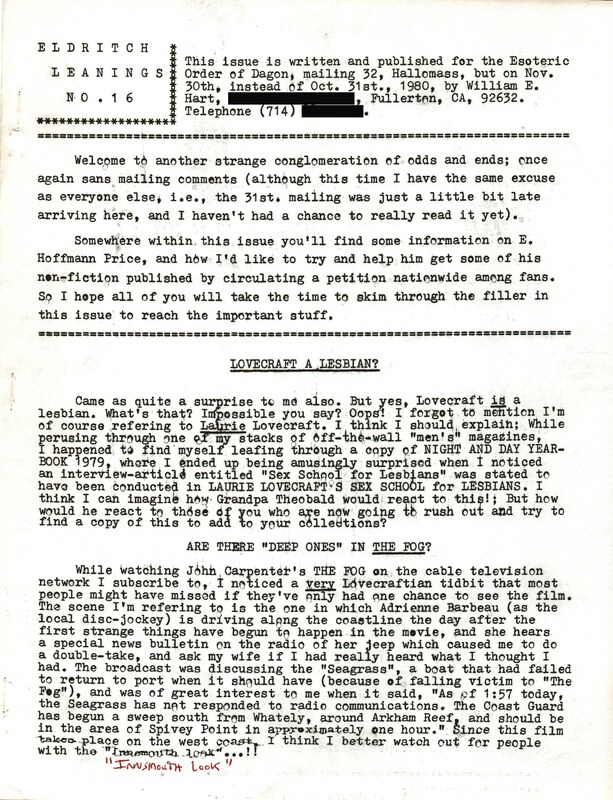 Mailing 38, the April-May 1982 Roodmas mailing was the last one I ever received. 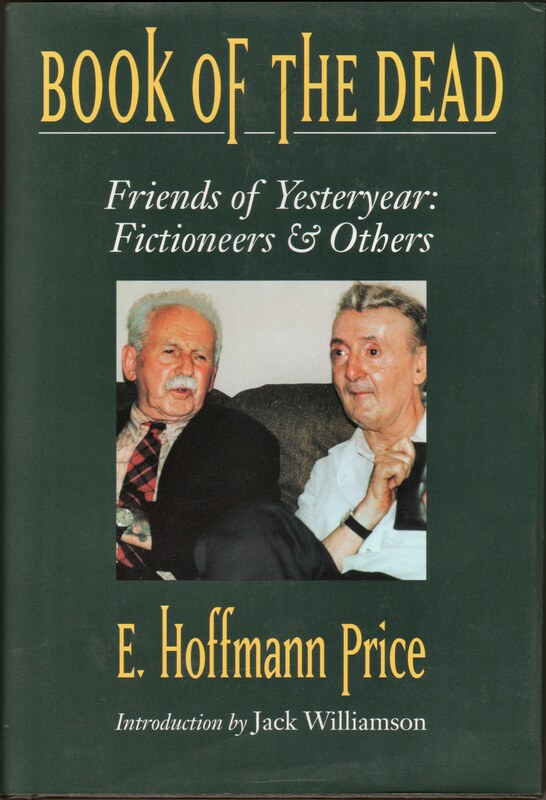 E. Hoffmann Price’s book was eventually published by Arkham House in 2001, under the title, “Book of the Dead, Friends of Yesteryear: Fictioneers & Others;” roughly thirteen years after his death. Although my petition, which was used to collect signatures on at least two continents, and at numerous conventions, may have had nothing to do with the actual publication of the book so many years later, I’m still very glad to have made the effort when I did. Now that the final issues of Eldritch Leanings have been posted to Flickr, I can get back to the audio-visual work I’m doing for those interested in Robert Bloch and Lovecraft… Coming soon! This entry was posted in Eldritch Leanings, Flickr Lovecraft Updates, H. P. Lovecraft, William (Will) Hart and tagged California Cthulhu, CthulhuWho1, Eldritch Leanings, Flickr, Lovecraft, Will Hart, William Hart. Bookmark the permalink.